Chicago screws, also known as binding posts or bookbinding screws are a simple alternative for binding your documents. Using one or two holes can replace binders and save precious space when archiving your documents. 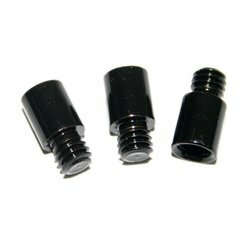 Place a chicago screw in the corner of your marketing material for a smart, ecoonmical and elegant finish. Great for sample swatches so your customers can fan out the many choices available. 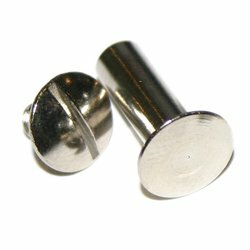 These plastic Chicago Screws are non toxic so suitable for application where children may come in to contact with the bound documents. This product was last updated on Thursday 07 March, 2019.